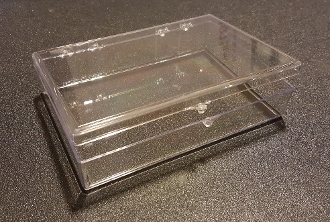 Plastic storage box for flip top tube storage system. *This is a ONE TIME purchase, not a subscription. If you would like to add this to your subscription on a repeated basis, please email us and we will give you an updated shipping cost based on how frequently you would like boxes sent.